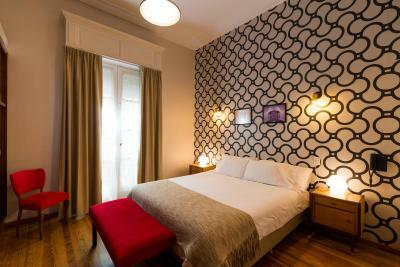 Lock in a great price for Sacha Mistol Art Hotel – rated 8.8 by recent guests! Rooms are spacious, artsy and beautifully arranged. It’s an oasis in the middle of the busy and noisy downtown area. Wonderful, helpful and welcoming staff who made some great recommendations and organized stress free airport transfers at ungodly times in the morning. The hotel is stunning. Amazing touches and our room surpassed all expectation (we found it hard to motivate ourselves to actually leave the hotel to go and explore Córdoba). Would stay again in a heartbeat. If you go to Córdoba. Stay here! What Lucia and her partner did was to take an antiquated mansion in downtown Cordoba and turn it into an innovative and original boutique hotel. This took a lot of vision, courage, and a huge investment. They got it right and created an incredible "one of a kind" hotel. It is flat-out awesome and classy. Beautiful property. Peaceful location off of busy street. Nice old place right in the centre of the walking district. Excellent breakfast. It's located on a pedestrian street, and super quiet at night. The design of the room made me feel like I was staying somewhere expensive and artsy. The room and bathroom were very clean. It is I definitely got my money's worth. Breakfast had a number of options, I was able to eat until I was full. The staff were very friendly and happy to go out of their way to help me with what I need. The hotel is in a great part of the city. It is located on a shopping street, so there were plenty of places to shop and restaurants to eat in. I enjoyed my stay and will definitely be back the next time I'm in Cordoba. 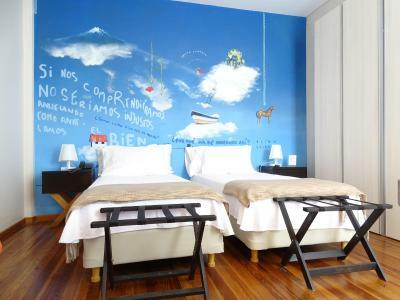 One of our top picks in Córdoba.The stylish Sacha Mistol Art Hotel in the heart of Córdoba consists of rooms with artful wall paintings and interesting room names, and offers free Wi-Fi and free breakfast. Guests will find San Martin Square 1,300 feet away and Patio Olmos shopping center 1,950 feet away. The boutique hotel is located on a pedestrian street. 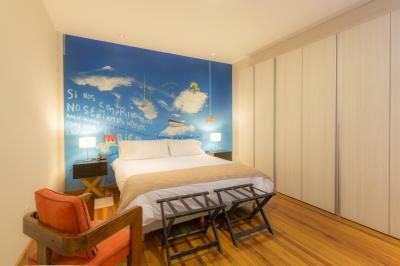 Rooms here are decorated in artistic colors and dream-like images. Each will provide you with a private bathroom with hairdryer, a TV and air conditioning. There is a desk and heating too. At Sacha Mistol Art Hotel you will find a garden. Guests can enjoy the appealing internal courtyard and admire the wrought-iron staircase. The hotel organizes onsite art exhibitions too. The hotel is located 0.6 mi from Córdoba bus station and 6.8 mi from Ingeniero Aeronáutico Ambrosio L.V. Taravella International Airport. 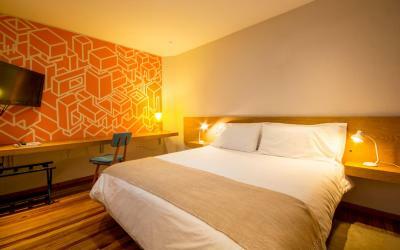 When would you like to stay at Sacha Mistol Art Hotel? House Rules Sacha Mistol Art Hotel takes special requests – add in the next step! 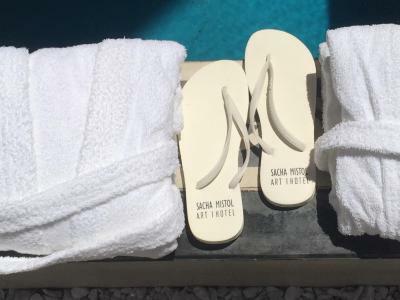 Sacha Mistol Art Hotel accepts these cards and reserves the right to temporarily hold an amount prior to arrival. 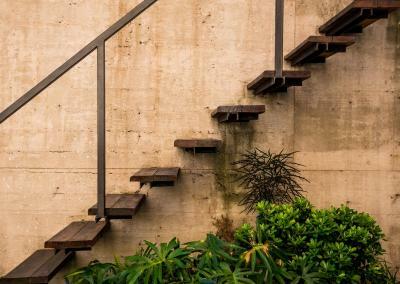 Please note that all rooms are located in the upper floor, only accessible via stairs. Large apartment style room with lounge made it a very relaxing place. The hotel is full of original art and has been beautifully renovated. Pool and patio outside were lovely. Breakfast is outstanding- not a buffet but individual breakfasts. 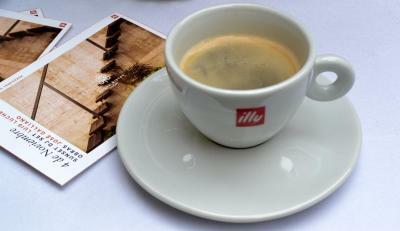 We had the fruit, cereal, yoghurt and toast option along with very good Illy coffee. Lucia and Luis are lovely people who helped us with many questions, tips on speaking Spanish and Luis took us on a great day tour to the Sierra Chicas. They truly look after their guests. 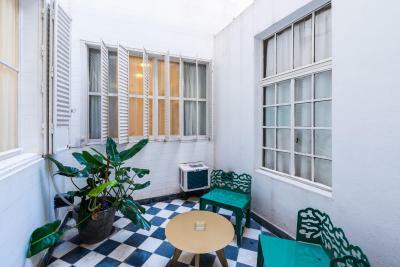 Very spacious and comfortable room, central location, walking distance from the Jesuit quarter. The hotel is perfectly situated in the center of the city, within easy walking distance from all the main sights and attraction. My apartment was a bit further away than I had expected. It was a 20 minute walk from the hotel, though frankly I didn't mind. I took a different route each day and enjoyed my morning strolls through town. Due to a large convention in town last week, Sacha Mistol Art Hotel did not have an available room for me, but they upgraded me for free to one of the apartments that they also rent out. The apartment was excellent: quite spacious, tastefully furnished, great bed. I ate breakfast at the hotel each day and though I didn't have a room, I can say that the hotel is also a very nice place. Breakfast was a great, fulfilling start of each day. Also, I was very pleasantly surprised by the stable internet connection, both at the hotel and in the apartment. Decent internet connections are not that common in Argentina. But most of all I appreciated the personal attention I received from Lucía and Luis throughout my stay. That was truly the icing on the cake. The breakfast could be slightly improved with some fruits. Amazing hotel, very nice dog and friendly staff. 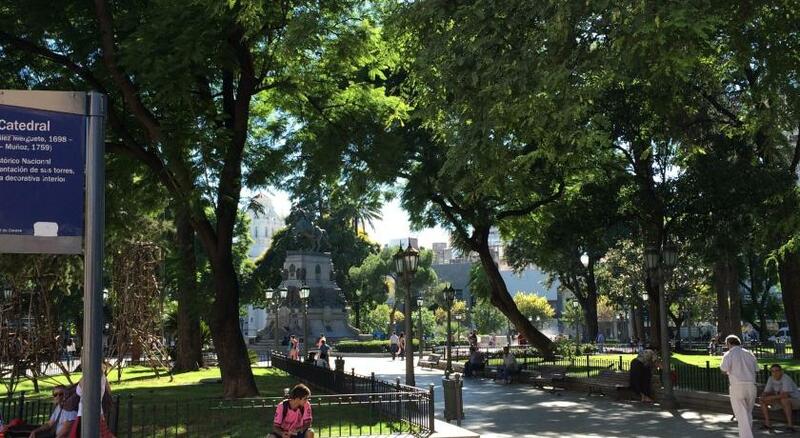 That a real oasis in such a dull city as Cordoba. Check in was a bit complicated as the hotel has no sign outside. The place is really beautiful. An old house remolded. Peaceful and quiet. Nothing really. Nightmarket is about 20 min walk, but a nice one. The most friendly people working there! Even took us out for diner on a public holiday when everything in the city was closed. The rooms are more like suits, really big! A very quiet, clean, well cooled and central oriented hotel, great. A nightmare manager. He violently attacked me over a misunderstanding on an additional charge. He said that he knew my “kind”, that Argentines were always trying to rob him. He couldn’t listen or discuss; he shouted, threatened and macho style asked to go “outside” to settle the situation. My family witnessed and experienced the worst nightmare, my daughter was crying. I paid the 15 usd he was claiming and left. Ps: in attachment picture of the breakfast prices, the origin of the dispute. We chose the Mighty thinking it was cheaper thanks to its special price for guests. The front desk person understood that there was room for confusion and kindly suggested to eliminate the surcharge. But then the manager showed up and the nightmare broke loose. The water temperature for showers was not warm enough, this plus a low shower head height made the experience quite uncomfortable- plus water went everywhere as the shower screen is far too small. We were also a little disappointed to be charged corkage fees for items that weren’t offered by the hotel. We felt uncomfortable when this was brought up. The hotel had friendly welcoming staff who were very hospitable. Our room was modern, beautifully decorated and clean, and the outdoor area and pool were very nice. Great location, walking distance to the main square. Rooms are big and clean. Very comfortable bed. There is a small garden with pool that can be used. Nice place to stay. What's not to love about this beautiful boutique hotel? We really enjoyed our overnight stay here. The area is nice and it's quiet overnight. We taxied up to the very nice restaurant Lucia recommended and walked back. We had room 7 and it's enormous and beautiful. One of the nicest, biggest rooms we've ever stayed in (and we've travelled around the world a lot.....). Our daughter and her husband's room next door wasn't as big but it was equally beautiful. The art work around the hotel is colourful and interesting to look at and the rooms are bright and nicely decorated. The beds and pillows are really comfortable. The entranceway was lovely and mostly there was lovely music playing (not the New Age repetitive music that was playing at breakfast time though, aaargh!). Lucia the owner seemed lovely and we'd have loved to have learnt more about her hotel, but our Spanish isn't so good so our daughter and son in law did all the talking. The three breakfast choices were good, and there's a fourth option that you can pay a little extra for. Would stay there again very happily.